Is it possible for the scientist to test on human beings? This is useless if you can’t apply the science to humans. 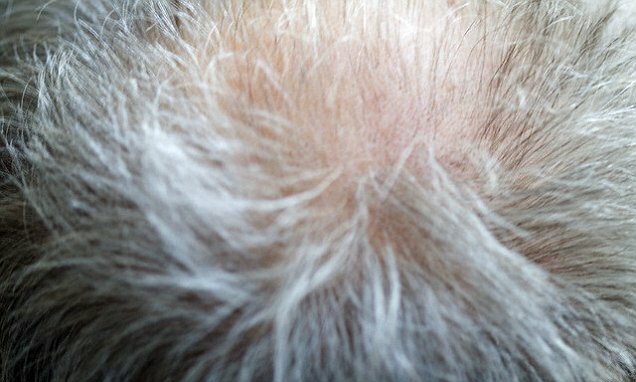 Scientists in Tokyo have discovered that the stock of repair cells which the body has lined up to become replace damaged cells in hair-producing follicles may turn into skin instead. I’ve read through this and it doesn’t seem to apply to MPB, aka “androgenetic alopecia” or premature AA. What this scientist is describing is simply the accumulation of genetic mutations which also occurs in all tissues and organs of the body. There’s no indication that what he’s describing is a cause, or associated with, premature hair loss in say, men who aren’t elderly. In most elderly people of both sexes, there’s an accumulation of genetic mutations which cause all tissues and organs to age, and many specialized cells revert to a useless state where they’re not doing what they’re supposed to. This happens in muscle tissue, liver tissue, the circulatory system, etc., as well as hair follicles. That’s why many older people who’ve had more or less full heads of hair their whole lives, develop thinning when they reach 70-80. It’s called “senescent hair loss” or “senescent baldness”. It is not triggered by hormones like DHT, but instead just by the normal cellular aging process.